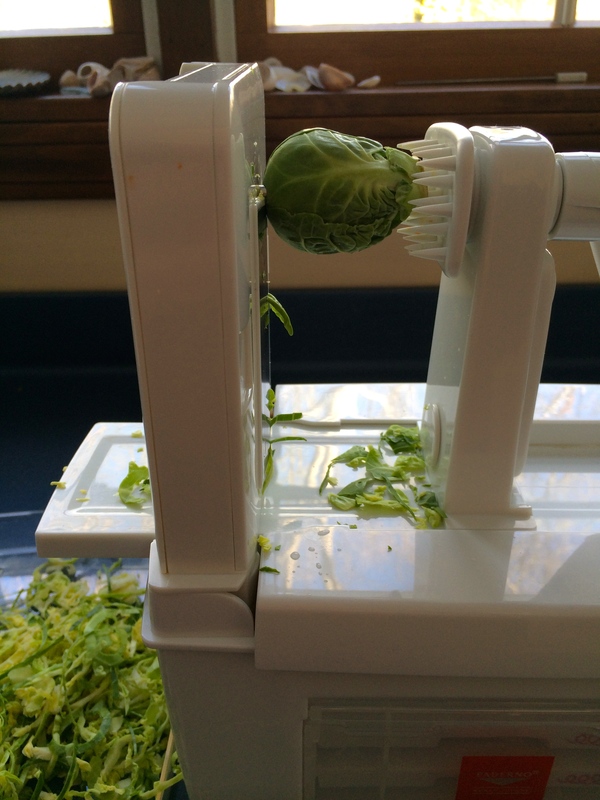 Yes, you can spiralize Brussel sprouts. The trick is to get good sized sprouts with stems on the ends. Using the slicing blade, the Spiralizer replicates a mandolin (only safer!) and quickly produces a pile of thinly shredded Brussel sprouts. 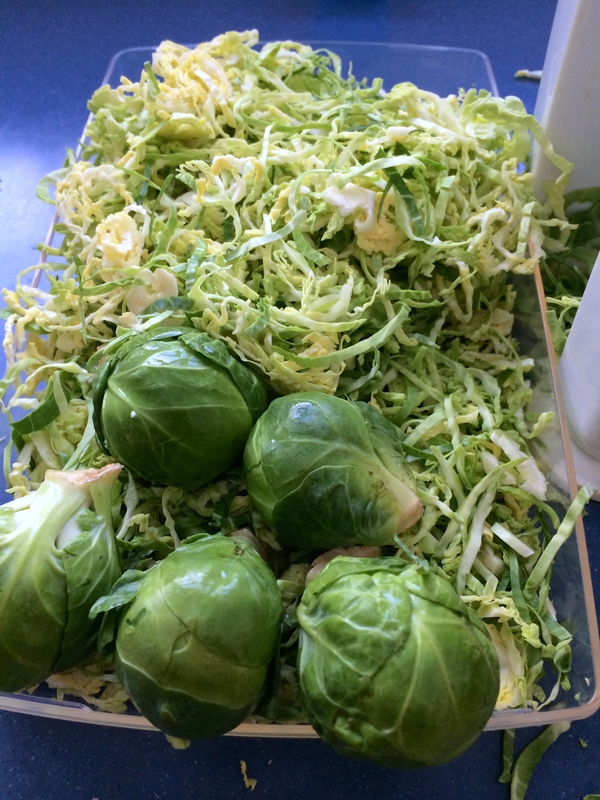 An online search will yield a number of recipes using shredded Brussel sprouts. I like to simply sauté them using bacon and dried cranberries. 1/8 to 1/4 cup dried cranberries. 1. Chop 4 slices of bacon into pieces. Fry until crisp. 2. Add about 5 cups of shredded Brussel sprouts to the pan. Sprinkle lightly with salt and pepper. Toss to combine with the bacon and sauté ( medium heat) until the sprouts soften. An alternate technique is to add 1/4 cup of water to the pan. Cover and cook over medium heat for a couple of minutes. Uncover the pot to finish the cooking. 3. Add a tablespoon of balsamic and some dried cranberries. Toss to combine. This entry was posted in Spiralized. Bookmark the permalink. I should not be reading this late at night! I keep forgetting that I really need to buy a spiralizer!